Warning: Danger ahead. Full Disclosure: You’ll have no regrets. 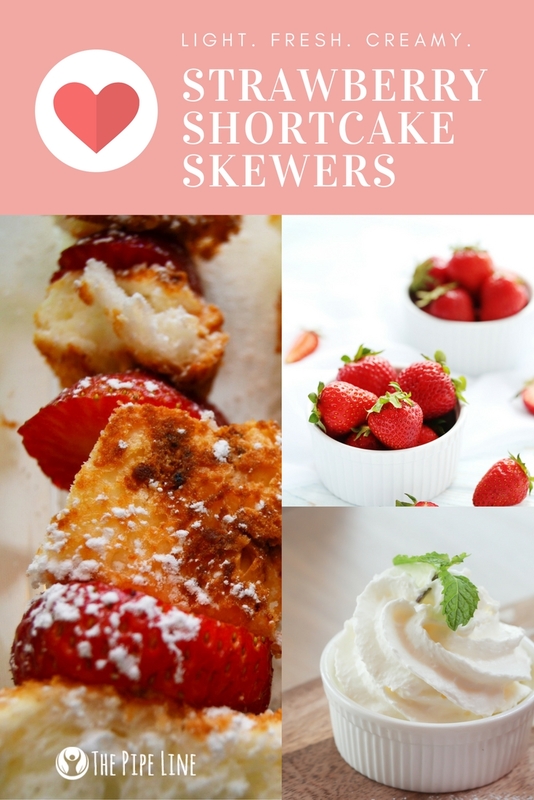 It’s World Baking Day, so to get on board with that—after all, how could we not?—We’re bringing to you a sweet, strawberry recipe likely to be your go-to favorite dessert. Sorry, not sorry. 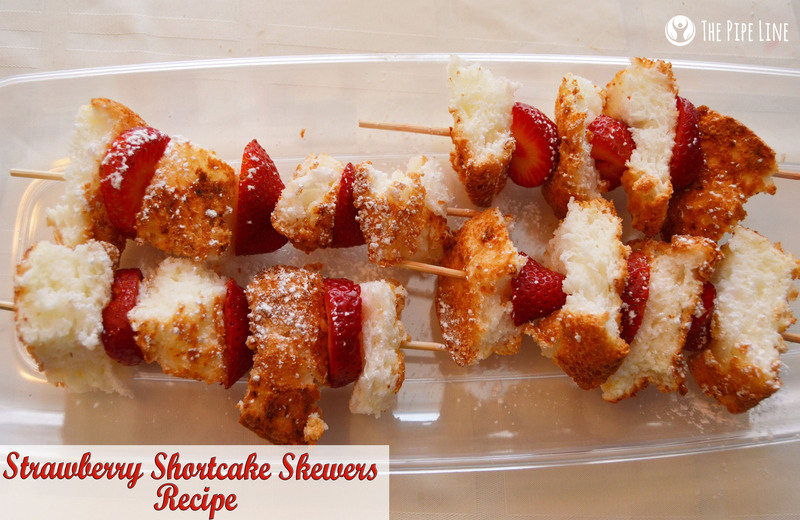 There’s just something so classic about a strawberry shortcake dish. It’s the perfect balance of light, fluffy cake with sweet, tart strawberries and smooth, silky whipped cream. The flavors work together to produce an unmatched delight. More so than that, the dessert is a signature treat for warmer days. Is it just us or does it remind you of carefree picnics outside? This treat is seemingly the apogee to a lovely, sunny day. + In a bowl, combine egg whites, almond and vanilla extracts, cream of tartar and salt. Beat on high until peaks form. + In another bowl, whisk together the sugar and flour, then place in bowl with egg mixture. +Using a signature, round 10” cake pan, slide your batter into the mold. +Bake about an hour, until brown. Check with a toothpick. + Working in a repeating pattern do the following: Push through a square of cake, followed by strawberries…until skewer is full. Did you love this recipe? Do you love us? Sign up to receive emails on sales and more blog posts just like this!